American Airlines Threatens To Change Ticketing Policy - Joe.My.God. 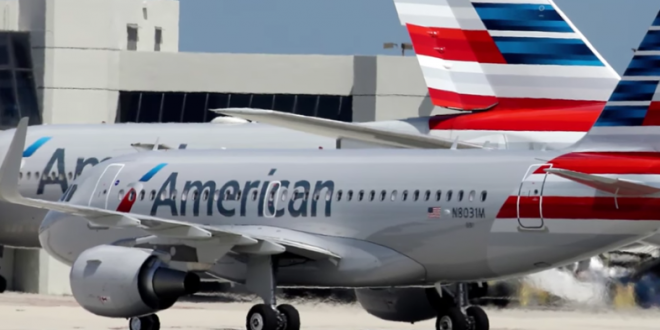 American Airlines is threatening to prohibit customers from making changes to nonrefundable tickets if Congress makes good on a proposal to crack down on unreasonable airline fees. American CEO Doug Parker says his airline would be acting just like many other businesses when customers want to swap their ticket for a different flight or for another day. “We — like the baseball team, like the opera — would say, ‘We’re sorry, it was nonrefundable,’” Parker said this week. Parker made the comments as the airline industry’s main trade group mobilizes to defeat a proposal in Congress to limit airline fees. Changing a domestic ticket on the largest airlines typically costs $200. Last year, U.S. carriers collected nearly $2.9 billion in change fees. American led the pack with $878 million — a big chunk of its $1.9 billion 2017 profit. The bill before Congress would force airlines to charge fees that reflect their actual cost to provide the service. Southwest Airlines, rather famously, does not charge to make changes or cancel a ticket.